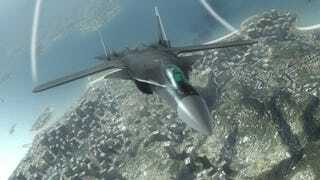 It's nice to every once in a while pick up a controller and play a few missions of Ace Combat. With Tom Clancy's HAWX, we'll have a fresh face in the aerial combat lineup and it'll be most welcome on PS3. Behold, some new screens showing a few of the aircraft you'll be flying.